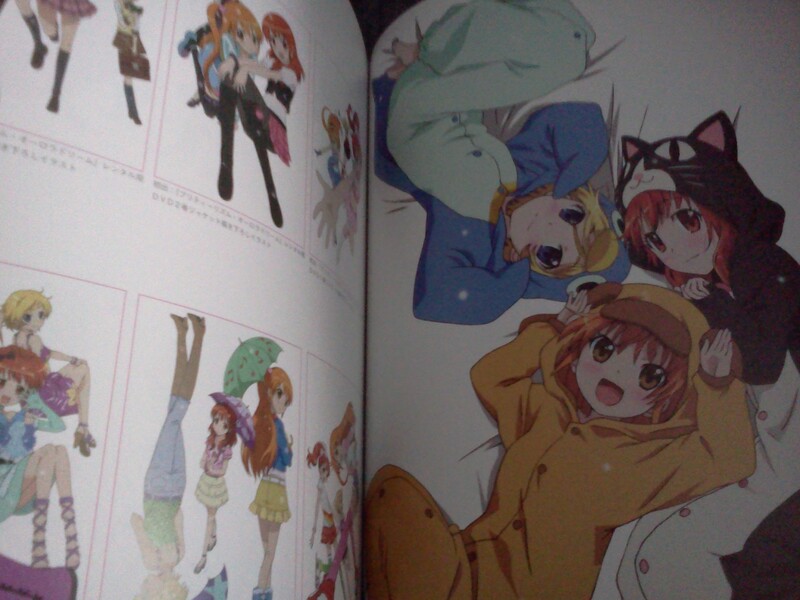 Pretty much like with the Rainbow Live guidebook, there’s way more stuff that I expected. There’s an illustration gallery, with illustrations by Watanabe Akio and Matsuura Mai, all the DVD covers of Aurora Dream and Dear My Future, and some of the CD covers of Rainbow Live. 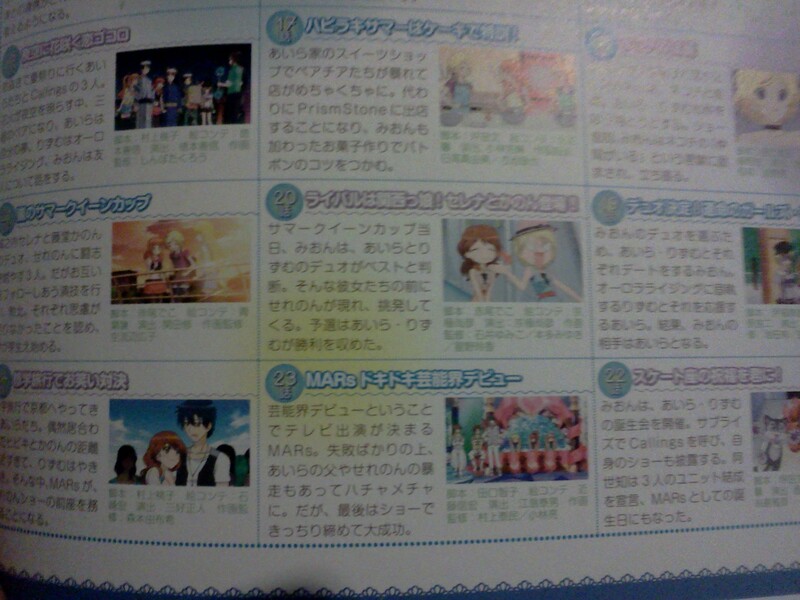 After that, there’s a summary of each season, with an introduction of the characters and the key moments. The Rainbow Live Guidebook covers 3/4th of the show. So this Guidebook covers what the Rainbow Live Guidebook didn’t: the end of the show. Apparently there’s some clarifications on some events too, like the Juné flashback in episode 48. There’s also a part about Hijiri Jin and Rei’s rivalry, Lucky Star, the penguins etc. It seems just like summaries of the events but maybe there’s also new details, haven’t read everything yet. What I did read though are the small parts about what every character did at the end, and they don’t say anything new. It’s just a summary of the stuff you see in the ending. For example: there’s a part about how Wakana and Ann confess to Kazuki at the end, but it doesn’t say anything more than the show, it doesn’t say if he accepted one of them or not. Of all the pics of Wataru they could have picked!!! Then there’s Aurora Dream and Rainbow Live parts. These are also just global summaries of the shows. There’s also stuff on some of the side characters who played a big role, like Furea or Togashi Karina. One thing nice is that the two shows’ section are separated, so for the characters returning in DMF, you have their AD profile and their DMF profile. Each season also has a complete episode list, with a short summary of the episodes and the main staff who worked on it. It makes it much more easier to compare staff. Even for one of my favorite shows ever like Pretty Rhythm, I never felt like doing it because it’s too much of a hassle, but it’s really easy with this. For example, I could easily check that like they said at the After Party Event, all the last episodes of Dear My Future had scripts by Tsubota Fumi. After that there’s one of the funniest sections, a complete listing of all the Prism Jumps in all three seasons. It’s super complete. It’s listed in categories: the Splash jumps, the Shower jumps, the Spiral jumps, the Fresh jumps, duo jumps, trio jumps, and individual jumps. It even tells who did what and in each season, and the variants. There’s even the ones that were only done once, like the special halloween ones etc. 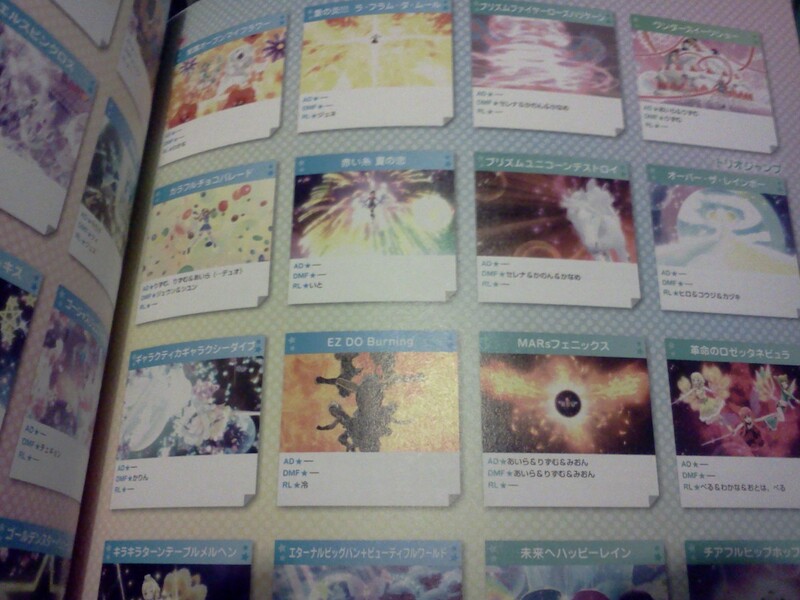 There’s also a list of all the Prism Acts in DMF. There’s even the “fake” Prism Jumps that were in the specials DVD shorts of Aurora Dream. That’s really cool that they included a section like that. Pure fanservice. 5 pages long interview of the seiyuus of Hiro Kouji and Kazuki. 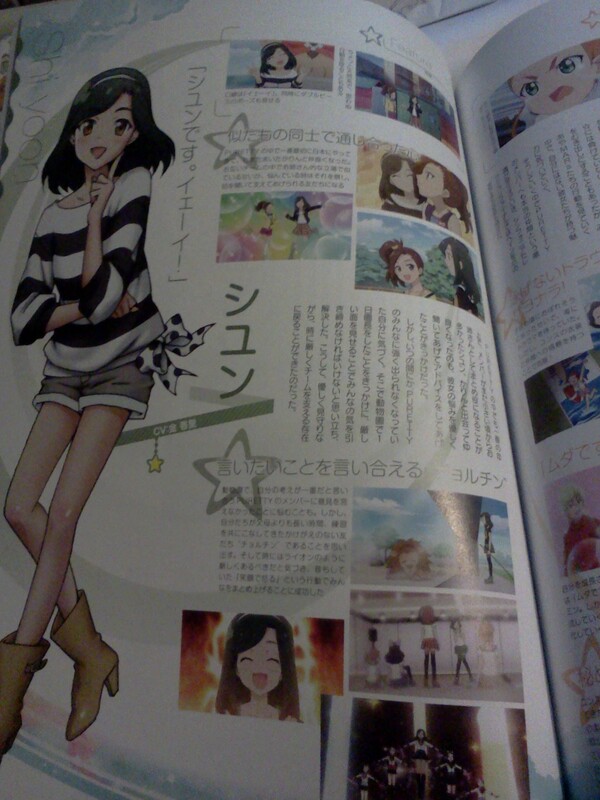 3 pages interview of Shishido Rumi, who voiced Juné. All the RL girls had an interview in the RL Guidebook except her, so they gave her an interview too. 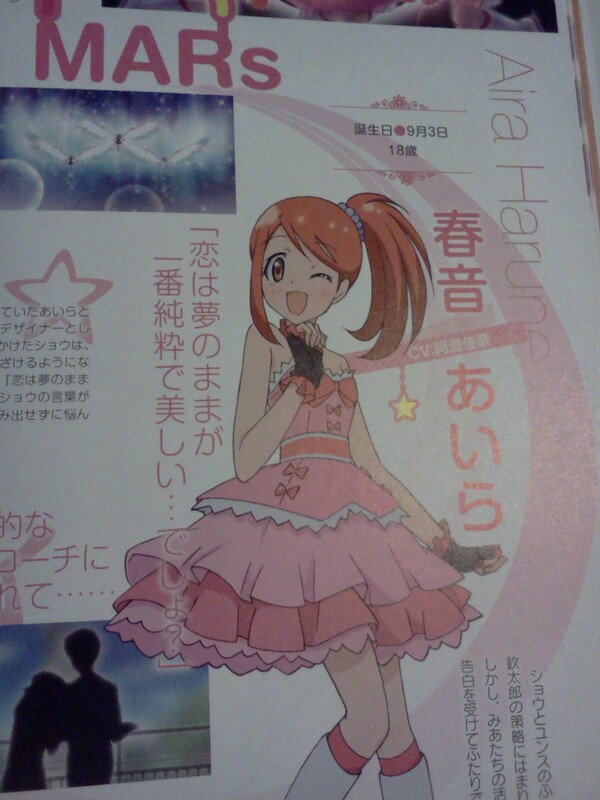 3 pages interview of Itou Kanae, who did young Sonata, Kaname, Hye In and Akaii Meganee. I’m not a seiyuu fan but I’m really interested on what they say on each of the characters, it must be fun. Especially Itou Kanae, since she voices so many characters. I think it’s one of the few shows I know where one seiyuu voiced so many characters, I’m sure she must say at least one interesting thing about it. Then there’s an interview of Hishida Masakazu, Iuchi Shuji and Tsubota Fumi. From the pics featured, it seems they talk about some of my favorite parts the shows, like Bell’s character development, Hiro’s obsession with Kouji, Mia and Hye In, Kyouko, etc etc so it should be super interesting. I hope there’s tons of new things that wasn’t already said in Twitter or the events. After that there’s an interview of Matsuura Mai. First two pages are about the girls, with pics of early animation purpose designs of NaruItoAnn she drew, so they’re different but a bit similar from the original chara designs drafts by Okama in the RL Guidebook. Okama did the original chara design while Matsuura Mai adapted them. 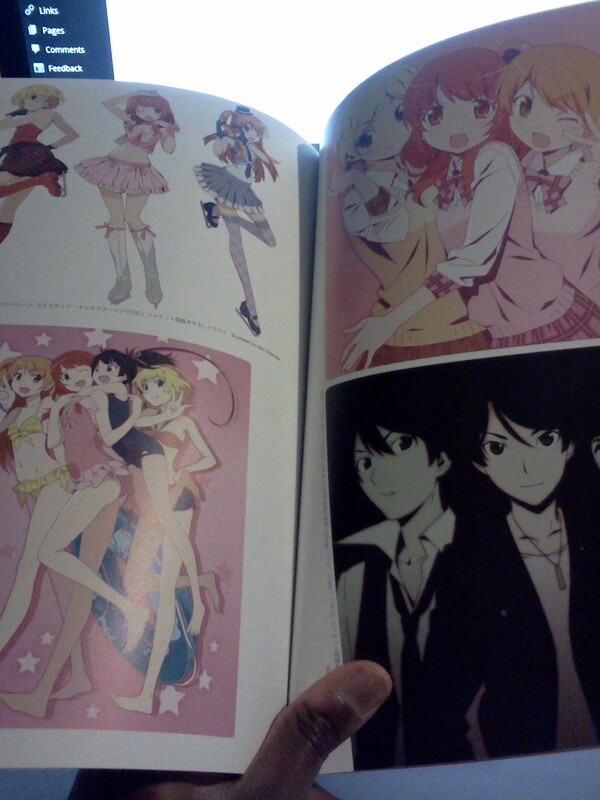 Then the two next pages are about the boys. It has the early RL boys designs they already showed at the After Party event. That’s why I don’t think there’s a lot of new things in this part because it seems to go over some of the stuff they said about the RL boys chara design at the After Party event. After that there’s a two pages interview of Mieno Hitomi, on how she wrote the lyrics of the songs in RL and her impressions on some of the songs/performances in RL . After that there’s a 4 pages interview of Watanabe Akio, the original character designer of AD and DMF. 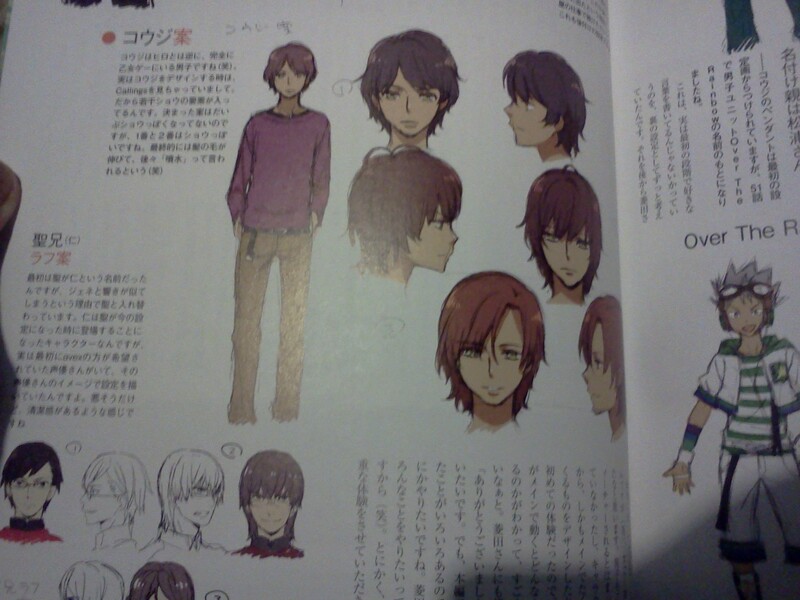 Watanabe Akio is a pretty good chara designer. Bakemonogatari is a great example. Too bad all the seasons after the original look totally uninteresting. Back in 2011 when Aurora Dream was about to start, when seeing it on Random Curiosity’s season preview, one of the things that made me write it down on my watchlist is that the girls look cute. I actually don’t really watch shows just because of cute girls, but I still decided to check it out. I don’t regret my decision. 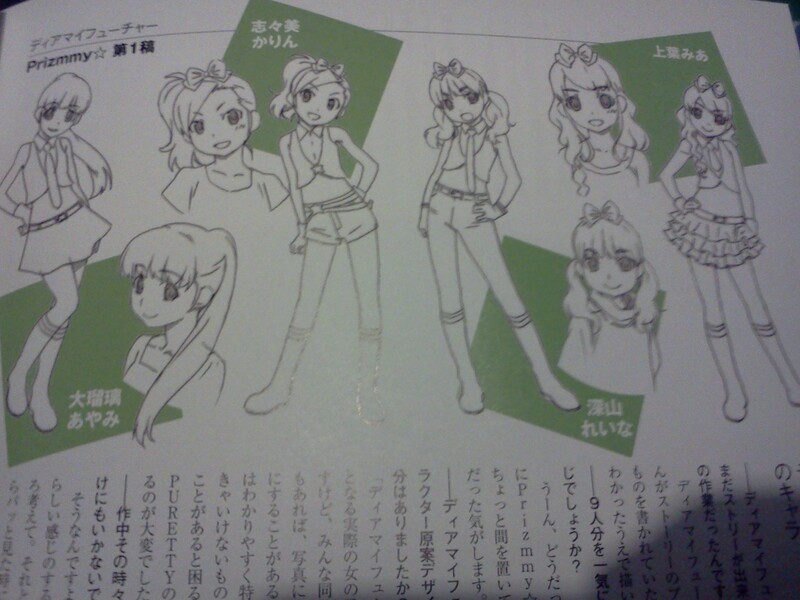 There’s the early designs of Mion, Aira and Rizumu. 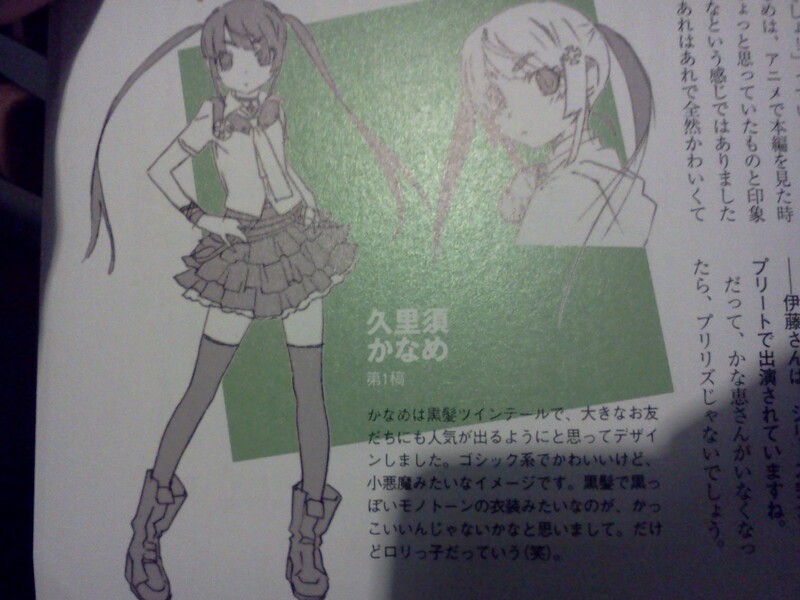 Rizumu doesn’t change much between designs as he didn’t design her from scratch as she was already in the game. There’s also how Mion was first called Mai then Rion, then they changed it to Mion. Aira was called Mii at first. The AD early designs in the book were published already. I remember seeing them a long time ago. 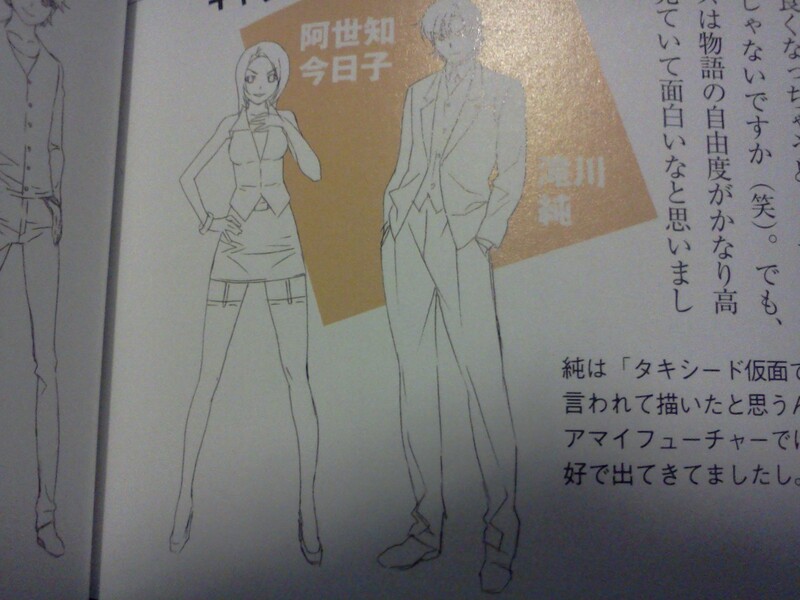 I think from the Akio Watanabe Animation Design Works book which was scanned and that you can find everywhere. 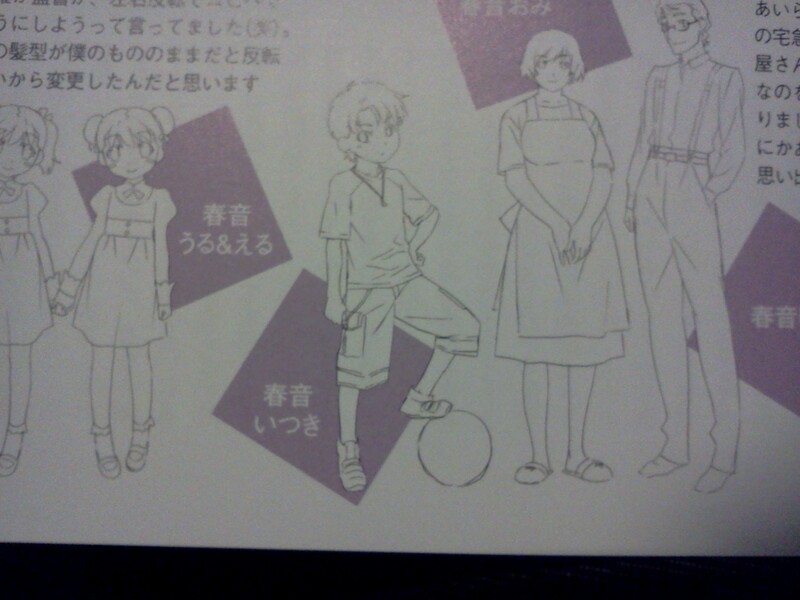 Kaname’s early design and clothes look super cute. And Aira’s mom was fat from the start hahaha. Kyouko used to have a more glamour look. 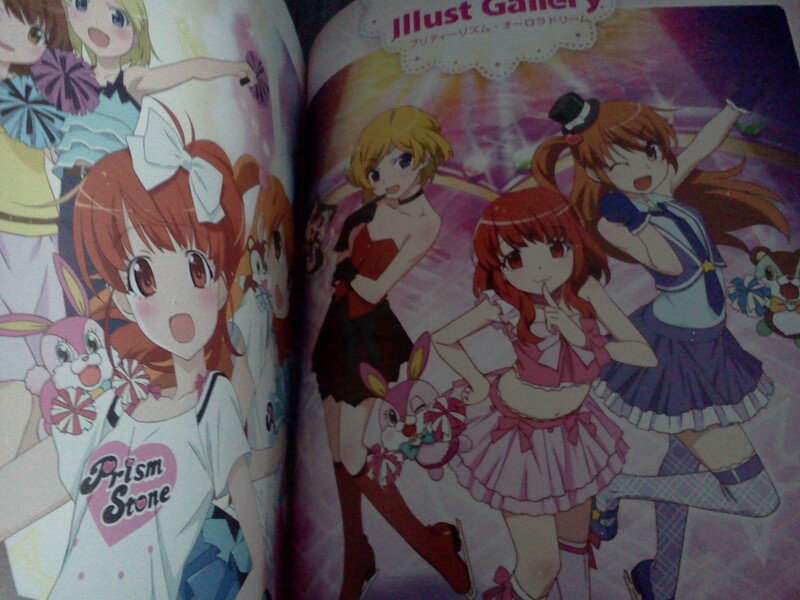 Jun looks 100% awesome just like his final design.The Prizmmy girls all look much younger except for Ayami. Listing them in case you don’t recognize them as they look so different. Meanwhile for the Korean girls, Hye In had twintails. 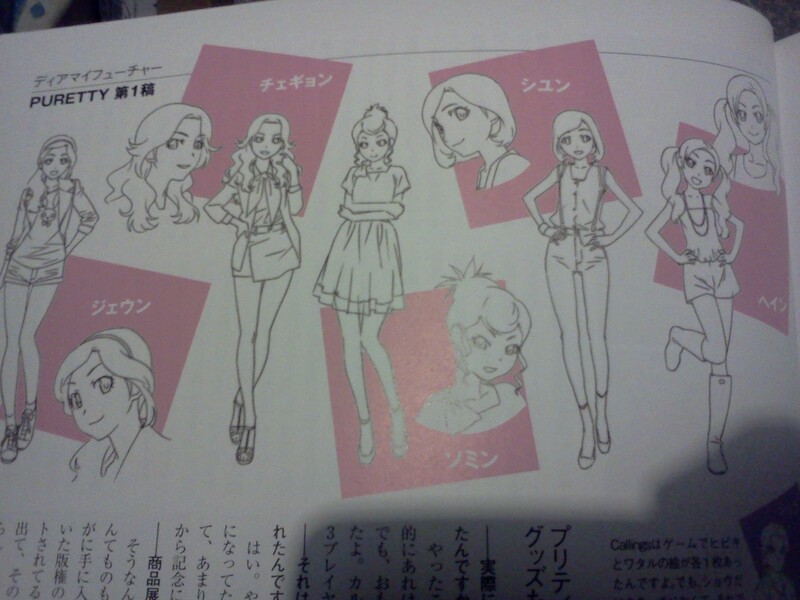 I like these early designs more than the final ones except for and Hye In and Shi Yoon. Chae Kyoung, Jae Eun and So Min look older and way better than in the show. 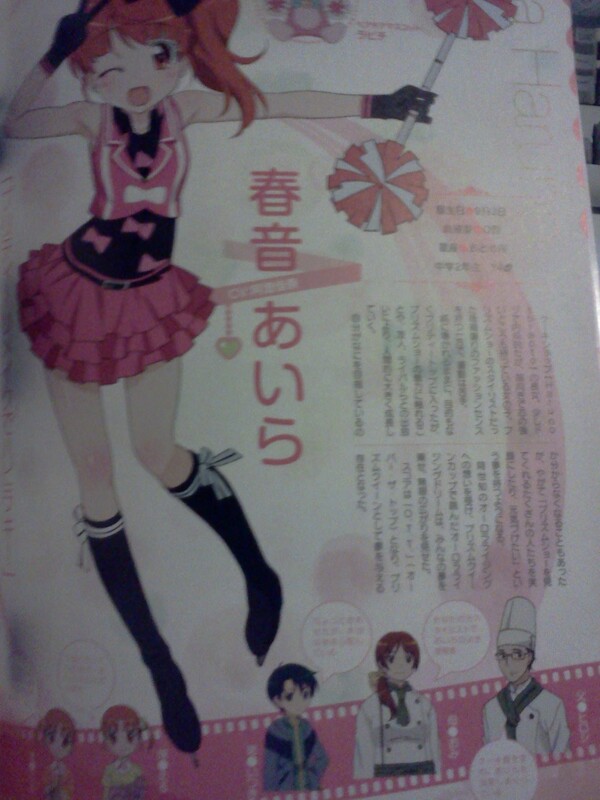 The last thing is a 6 pages interview of Hishida Masakazu, Yoshihiro Otobe, and Kyogoku Takahiko, calling them “the team behind the CG of Pretty Rhythm”. It’s definitely the funniest looking interview, as they talk about what kind of illegal weed did they smoke to get the idea for Mion’s ultimate jump Eternal Big Bang Beautiful World, or Hiro’s super gay jumps like Jounetsu Neppu Starlight Kiss. Jokes aside, they do talk about these two jumps in particular. Also about the evolution of the CG in Rainbow Live, how they get the ideas for jumps and how they make them etc, so it’s by far the most interesting thing in the book in my opinion. If there’s one thing in the book I’m sure I’m gonna read translate and post about it here, it’s this interview. Pretty Rhythm isn’t really popular so that’s the main reason I bought the book, I highly doubt anyone ever gonna scan it, or even make a small summary about the info in it. I won’t scan it either, way too much effort. It seems like a good opportunity to read stuff about seiyuu work, chara design, how people at series composition or directors work, and tons of little details on how to make an anime in general so I’m pretty happy I bought this. It’ll also help me study Japanese. Unless I die or something big happens, I’ll try to read it and post some summaries of the info&interviews in the next months. Yeah I’m not really in a hurry. And if someone already did it in the meanwhile I’ll just link it here. I’m also trying to do the same with the interviews in the Rainbow Live guidebook. I also bought the movie BD. Speaking of which someone ripped it and it’s up on the net. That sure was unexpected. I got a Akaii Meganee postcard with it. I think the only thing missing is a page dedicated to Beef Or Chicken. This entry was posted in GET! !, Opinions on..., Pretty Rhythm and tagged Akao Deko, Anime, Hishida Masakazu, Itou Kanae, Iuchi Shuji, Kyougoku Takahiko, Otobe Yoshihiro, Pretty Rhythm, Pretty Rhythm All Star Selection, Pretty Rhythm Aurora Dream, Pretty Rhythm Dear My Future, Pretty Rhythm Rainbow Live, Shishido Rumi, Tsubota Fumi, Watanabe Akio on August 15, 2014 by rockmanshii. This entry was posted in GET! !, Gisèle Alain, Opinions on... and tagged Gisèle Alain on July 5, 2014 by rockmanshii. This entry was posted in GET! !, Super Robot Wars on April 15, 2014 by rockmanshii. 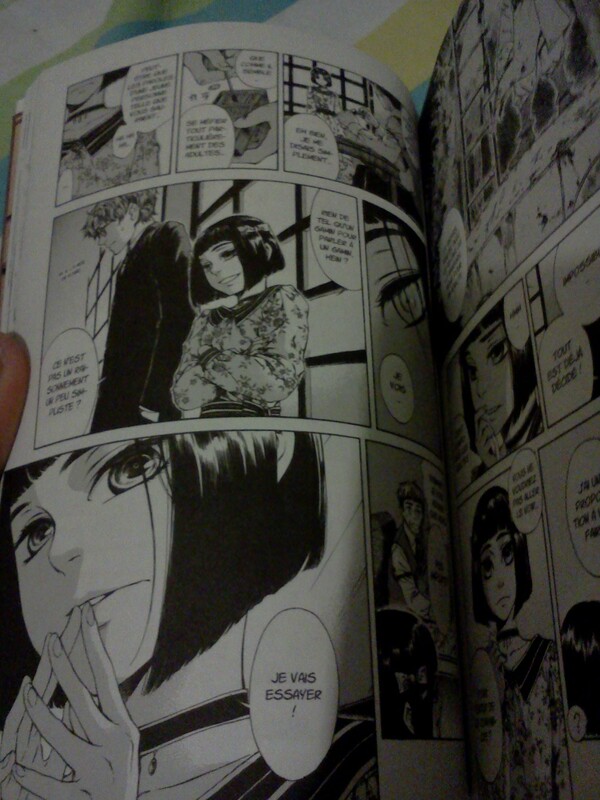 The joys of being a French otaku. The 3 last chapters or so of this volume aren’t even scanlated yet. This entry was posted in GET! !, Gisèle Alain and tagged Gisèle Alain is awesome on June 1, 2013 by rockmanshii. 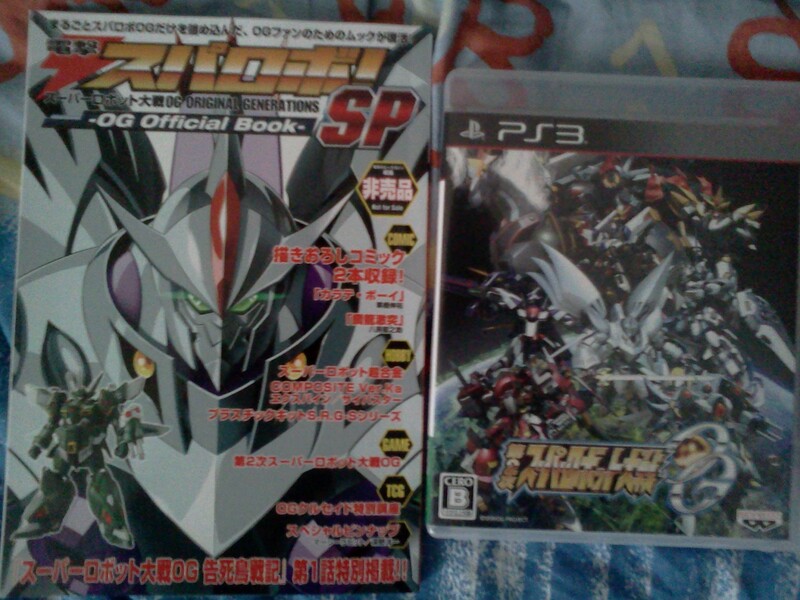 Dai ni Ji Super Robot Wars OG GET!! Received it last Friday. I’m really happy. This entry was posted in GET! 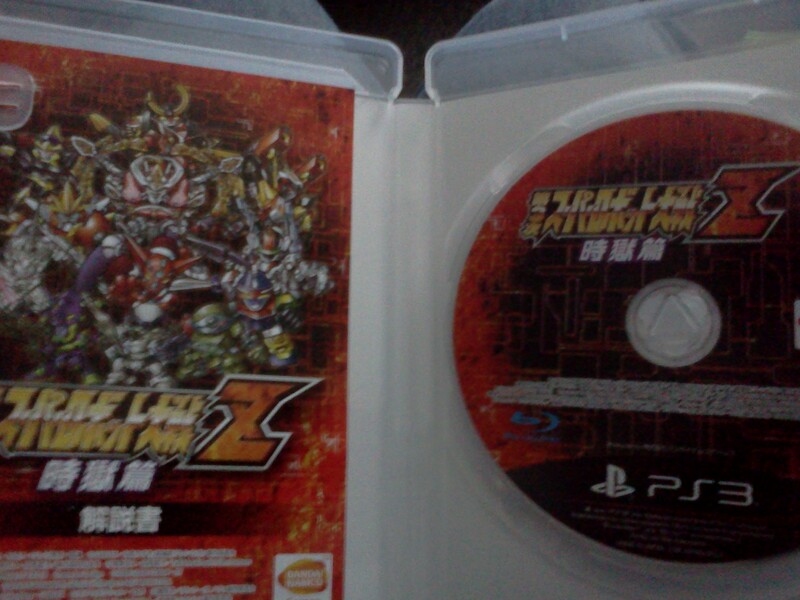 !, Super Robot Wars and tagged SRW on April 11, 2013 by rockmanshii. 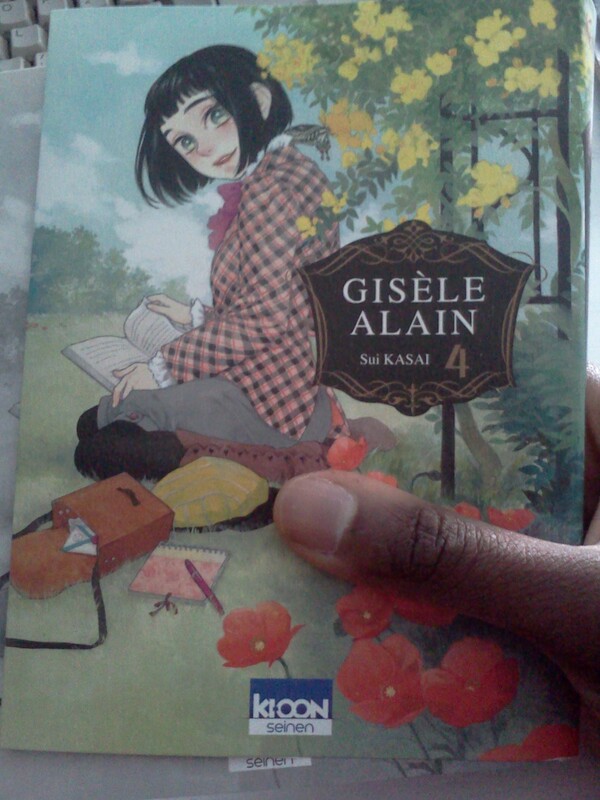 Bought my french copy of volume 1. Reading it again made me remember how much the story is so well written and weaved together. This first volume introduces the main characters, introduce new characters in each chapter, and make all of them play a part in the last chapter… Each chapter may be standalone, but there’s a really good feeling of continuity, and I love continuity. I hope it won’t be too long until they release volume 2. Go read it at Batoto, buy it if you’re in Japan, if you can import a Japanese copy or if it’s released in your country. 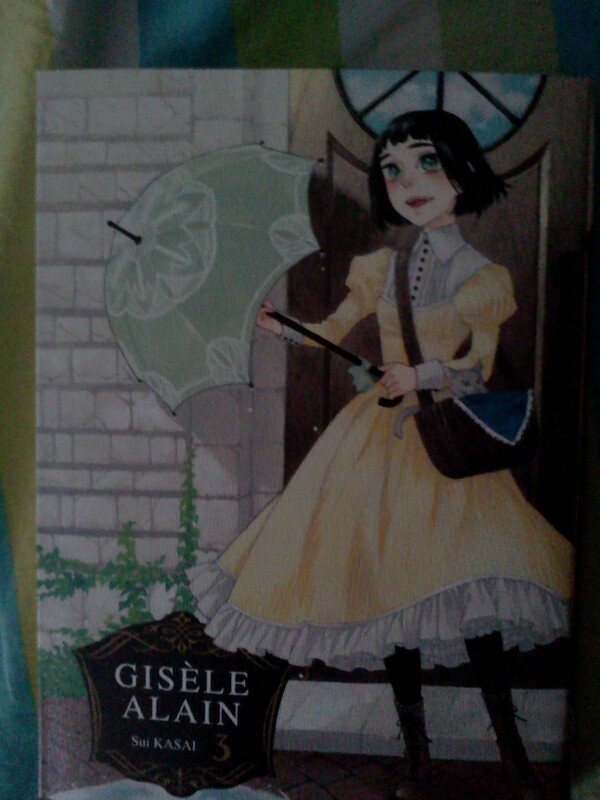 Gisèle is so cute. 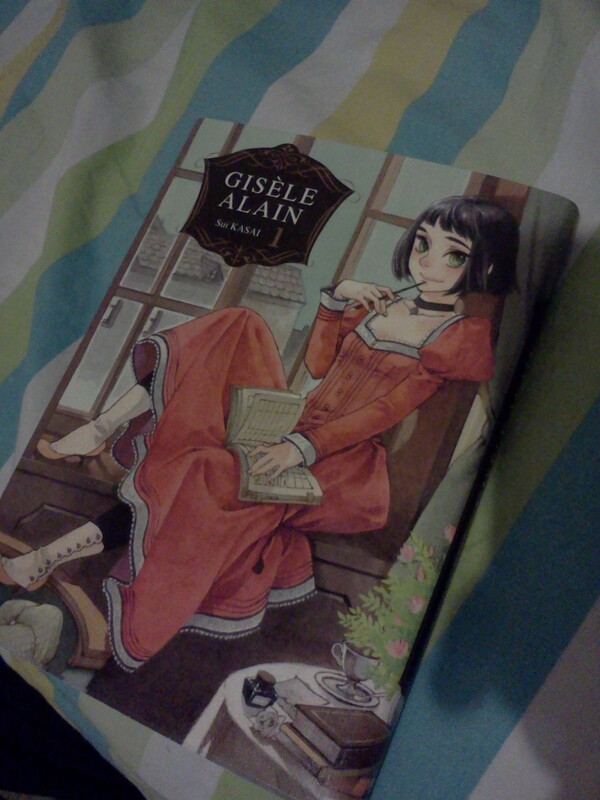 It would be nice to have an anime adaptation with Sakamoto Maaya voicing Gisèle, I was actually reading everything Gisèle said with her voice in my head. And Hiyama Nobuyuki should voice Gisèle’s father just so I can hear him scream JIZEEERUUUUUUUUUU!!! when he gets mad at her. This entry was posted in GET! !, Gisèle Alain, Opinions on..., Reccomendations and tagged Gisèle Alain, Gisèle Alain is awesome on October 29, 2012 by rockmanshii. 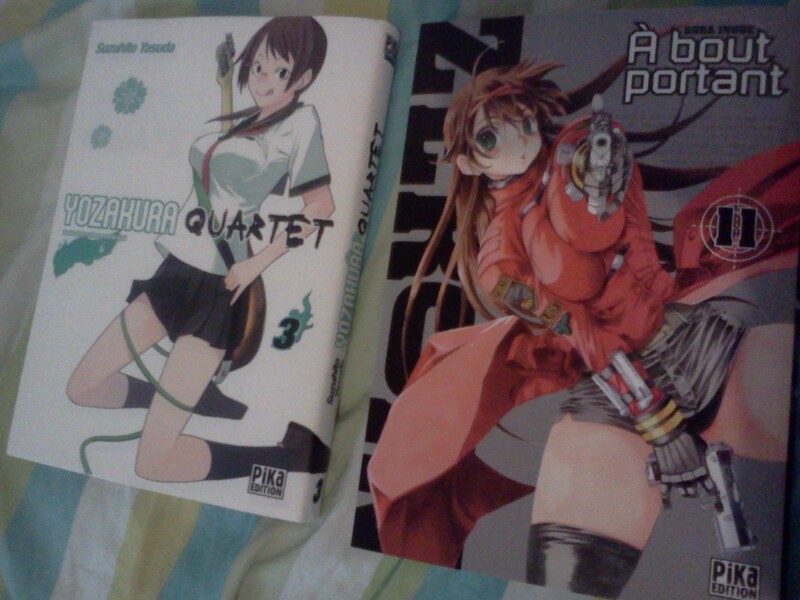 Zero in vol 11 + Yozakura Quartet vol 3 GET!! Yes the photo is bad like always. This entry was posted in GET! !, Yozakura Quartet, Zero In on June 16, 2012 by rockmanshii.